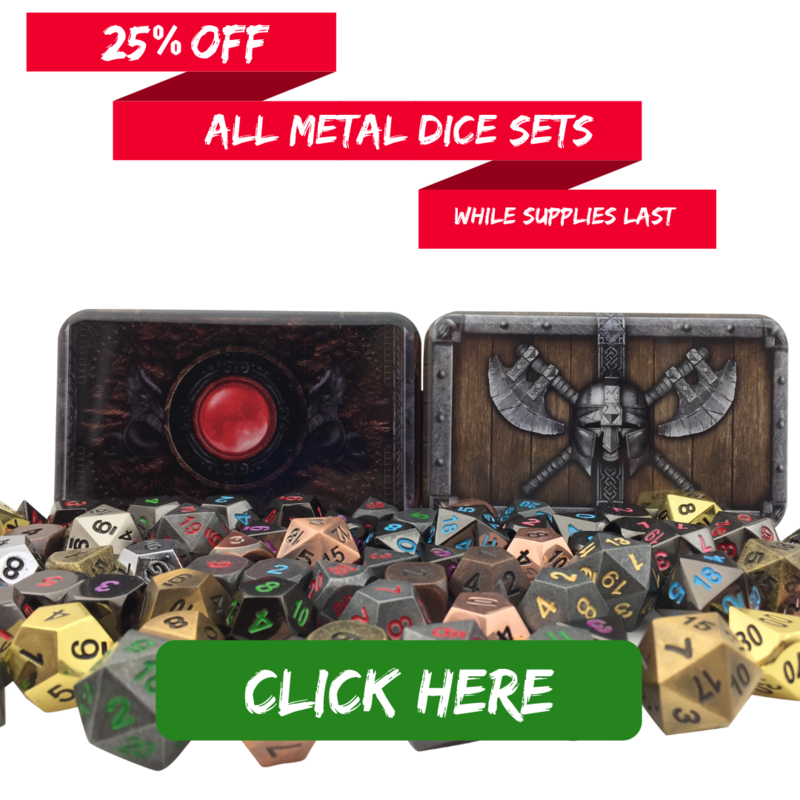 Our High Quality Metal Dice are Battle Hardened and Adventurer Tested! 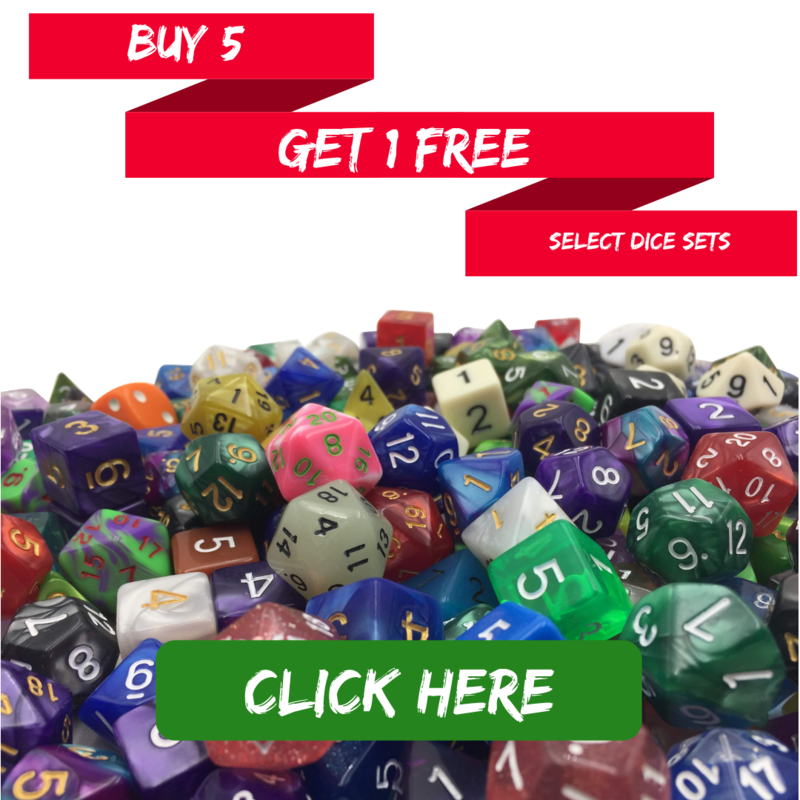 Get 25% off sets of 7 here. This is our best deal of the year! Double rainbow! What does this mean? It's so beautiful! Get them for 35% off and be at least 200% more fabulous. 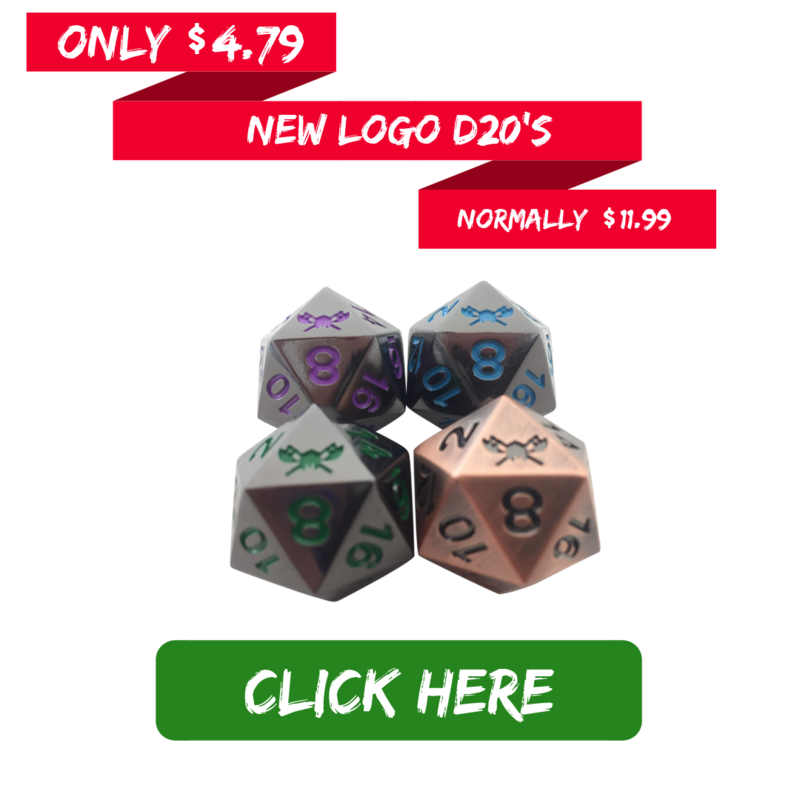 We don't want to get sued, so, you get it. 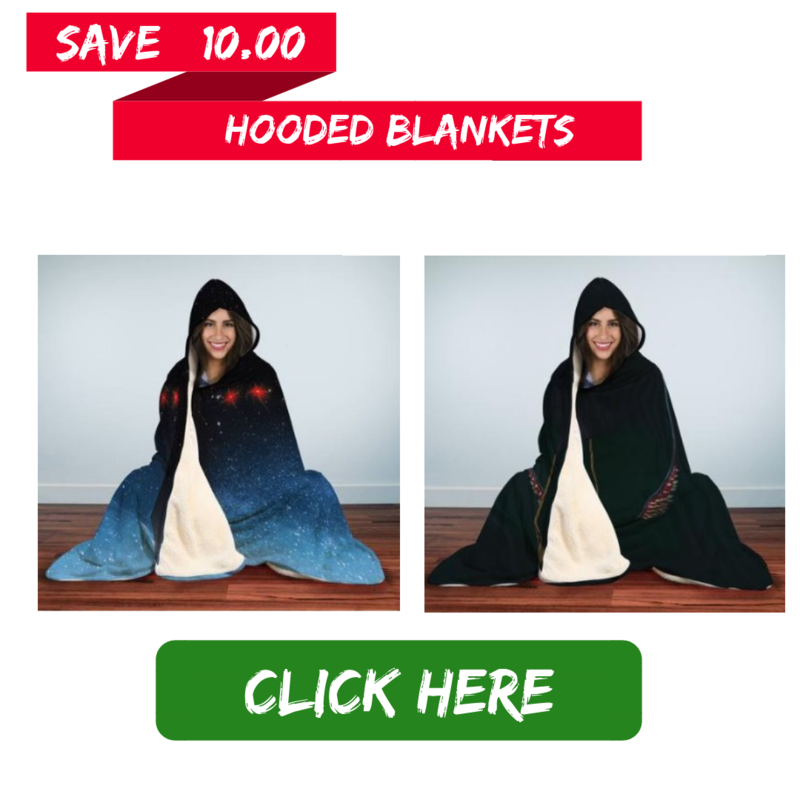 Check out our comfy hooded blankets to keep yourself warm in the cold cold North. 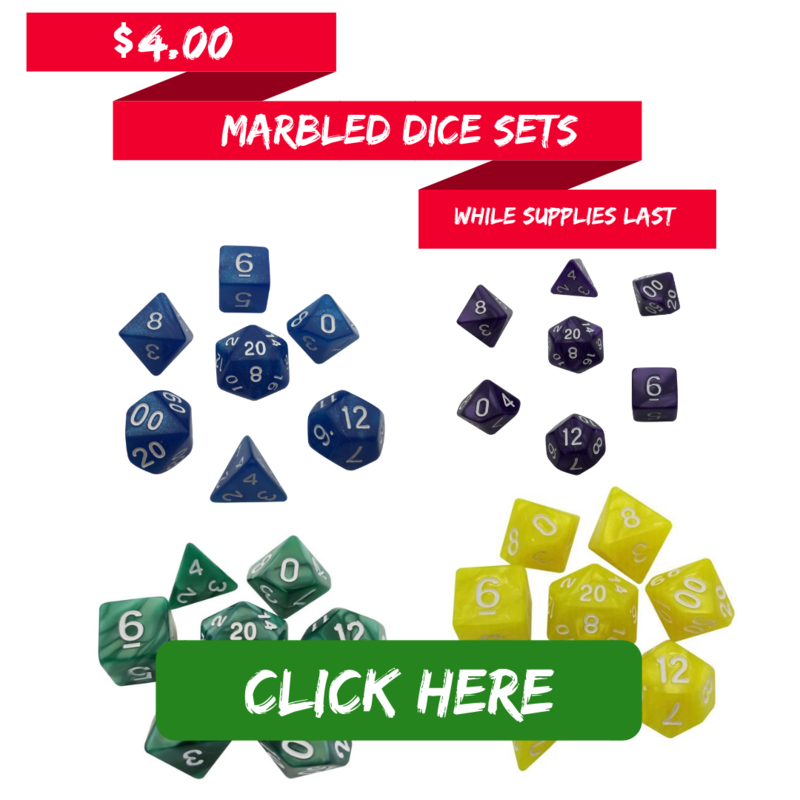 Save $10 on them for a limited time! 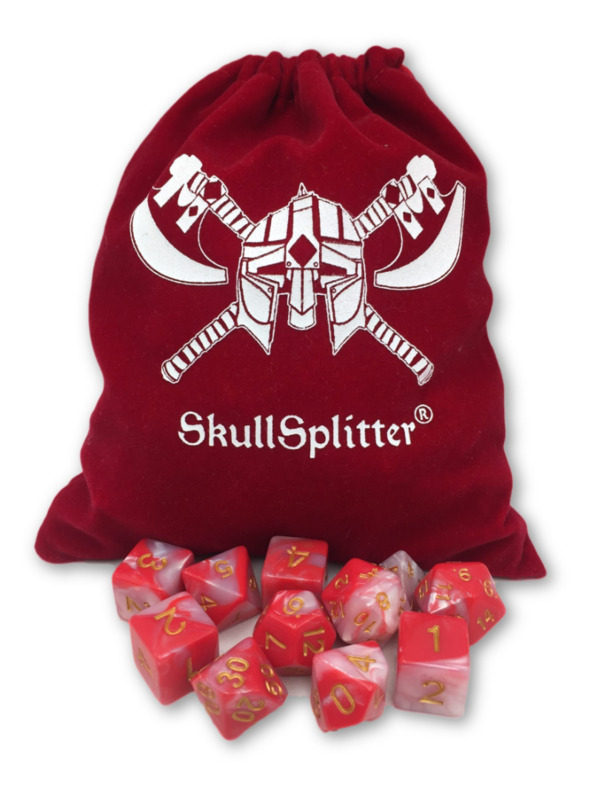 "Huntress" looks like strawberries and cream and comes with a large dice bag. We've only made a few, and won't be making any more for at least six months! 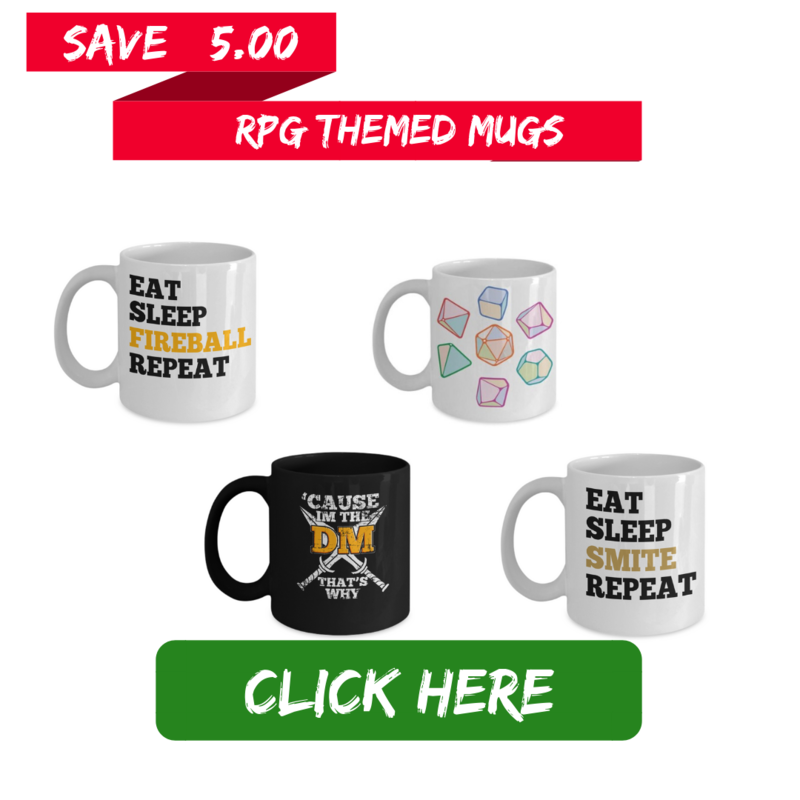 Our Awesome RPG Gaming Related Mugs are made to order and ship from the US. 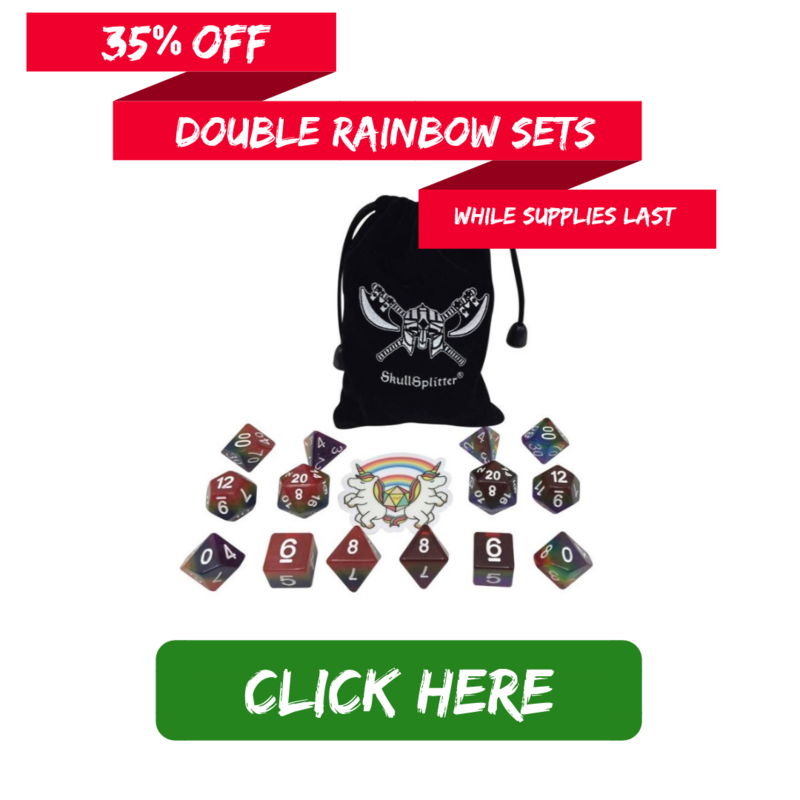 They make a perfect gift for any gamer, regardless of their oath! Get yours for $5.00 off! All offers while supplies last! Offers may not be combined with other discounts or promotions!